We’re not for everybody. Hosting is a humongous market with hundreds of incumbent businesses that have mutated over the years to come into this space… and there’s hundreds more thriving and dying every day. Whichever company you choose, do research carefully. 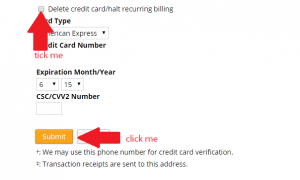 You may easily close your account within the control panel via Account > Change Billing Info. Scroll down to the credit card field, tick Delete credit card > Submit. Your account will no longer be billed once completed. Changes will take up to 24 hours to appear within the control panel. Cancelling your account within the control panel. PayPal is a third-party processor and as a third-party, changes its flow often. Refer to PayPal’s most recent article on “Canceling payments“. 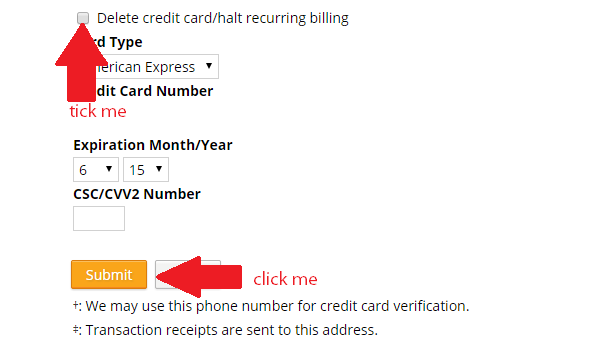 If you run into any complications with canceling a recurring payment, let us know by opening a ticket within the control panel. Please cite the reason and we’ll work with you to resolve it. Once a payment is canceled through PayPal, you will no longer be billed. Changes will take up to 24 hours to appear within the control panel. Accounts have a 30 or 15-day grace period (PayPal and credit card respectively) to make backups and ensure migration, as necessary, to a new provider. Once this period has elapsed, the account is deactivated and will require payment to resume service or access files. No further access is provided unless payment is remitted thereby reestablishing service. This entry was posted in Billing and tagged billing, cancellation.